Who are the children of Vishnu and Lakshmi? Most of us are aware of the children of Shiva and Parvati ⇒ Kartikeya, Ganesh and many others. I have never come across the children of Vishnu and Lakshmi. Lastly, I am aware of the avatars of Vishnu and Lakshmi who had children, e.g. Who are the children of Vishnu and Lakshmi? Can anyone enlighten me with this knowledge? We are the progeny of our forefather, Sage Kardama, who is one of the sons of Goddess Lakshmi. We invoke that Sage Kardama to install in his family the Universal Mother, Mahalakshmi, who is decked with the garland of lotuses. So be it. We invoke another son of Lakshmi named Chikleeta. May he dwell in our home and may his mother, Mahalakshmi, dwell in our family. There's almost no information known beyond that. The sage Kardama is usually thought of as a son of Brahma, born from Brahma's shadow, as mentioned in this verse of the Srimad Bhagavatam. The only other connection between Lakshmi and Kardama is a story about how when Lakshmi emerged out of the churning of the ocean, she took sage Kardama as her adopted father, not son, as a reward for his Tapasya. And I don't think Chiklita is mentioned in any other scriptures. If we consider the entire Sukta as a whole, then the Rishis are: Each mantra of this Sukta has a different Rishi (seer), Chandas (metre), Devi (deity) and Viniyoga (ritual application). Ananda, Chikleeta, Kardama, Shreeda and Indira, who are said to be the sons of goddess Lakshmi. But I'm not sure whether the claim that these are all sons of Lakshmi has any scriptural basis. 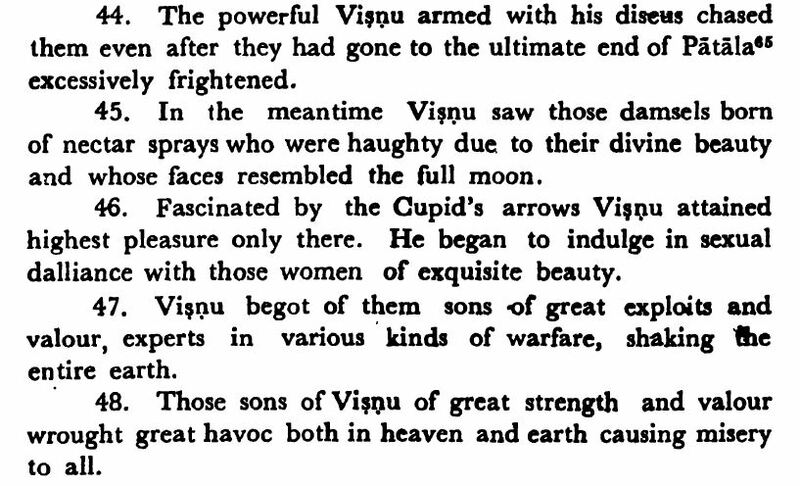 EDIT: This excerpt from the Vayu Purana lists two named more sons of Vishnu and Lakshmi, "Bala (Strength) and Utsaha (Energy)". And it also says the drivers of vimanas were born to her as "mental sons", and that she had two daughters, Ayati and Niyati, who became daughters-in-law of Brighu (who is Lakshmi's adopted father!). 1)Ekvira.You can find his full story here in Keshav Srinivasan's answer here: Why Revantha the youngest Son of Sun god went to Vishnu's abode? In short,Lakshmi incarnated as a horse and she and Vishnu had a son,Ekvira,who is adopted by a mortal king.Ekvira evantually marries a princess,whom he saves from a ogre. When Lord Subrahmanya was staying at Kanda Verpu, the two daughters of Lord Mahavishnu, Amritavalli and Sundaravalli, who cherished the desire of becoming the consorts of Subrahmanya, went to Sanavana Poigai and commenced austere penance to fulfil their desires. Pleased with their prayer and worship, Lord Subrahmanya appeared before them and told Amritavalli: "You will be brought up by Indra as his daughter and I shall marry you in due course. "Her younger sister Sundaravalli was also graced with a similar blessing. She was born to Sage Sivamuni and brought up by Nambi, the headman of hunters. Amritavalli took the form of a female child and went to Mount Meru the abode of Indra, and told him: "I am the daughter of Mahavishnu and the responsibility of looking after me has been entrusted to you.' On hearing this, Indra became very happy and directed Airavatam, his white elephant, to take care of the child. 3)Kamadeva.Kama,or Manmatha,is said to be the son of both Vishnu and Lakshmi.Furthermore,he incarnated as Prayudma,the son of Krishna and Rukmini. As per the BrahmAnda PurAna, Lord Vishnu and Lakshmi Devi have two sons called Bala (strength) and UtsAha (enthusiasm, energy). Bhrigu and his wife KhyAti gave birth to two sons named DhAtA and VidhAta and a daughter named Sri or Lakshmi. Lakshmi obtained as her husband NArAyana and thereafter gave birth to two sons called Bala (strength) and UtsAha (enthusiasm). I read a story according to which after seeing Ganesh Ji (son of Shiv I and Parvati Ji), Devi Lakshmi was also inclined to having a similar child and thus she prayed Ganesh Ji and then Ganesh Ji granted her boon that he will become their son in one of his incarnation. Ganesh Ji later fulfiled his promise and took an avtaar to be their son. I think Ganesh Ji's name in that incarnation was Muyureshwar Ganesh. Maha Lakshmi's sons are Kardama, Chiklita and Apa (water). There may be more, but I am not sure. Maha Lakshmi's father by adoption is Sage Brighu (not Kardama). That is why she is called "Brighu nandanaya". There are no progeny born to Vishnu and Lakshmi. Vishnu and Bhudevi had a son, Naraka (asura). Naraka was born when Vishnu took Narasimha avatar. Because of his rakshasa qualities he was cursed by sage Vashistha and was killed by Krishna (another avatar of Vishnu). Father killed the son - there is no nepotism when it comes to protecting Dharma. Brahma is not a son of Vishnu. Yes, he appeared in the lotus that grew out of Vishnu's navel. But Vishnu was not aware of it nor did he try to create Brahma. Afterwards Rudra appears and teaches both Vishnu and Brahma that, he came from the same entity that created the Universe, Vishnu and Brahma. That formless supreme is NARAYANA. These three and Shakti are the physical manifestations of that Supreme God, JUST AS THE WAY YOU AND I ARE. Their role is to run the universe with different responsibilities given to each - Brahma (creator of things -tehnologist), Vishnu (jagat Prabhu) Shiva (jagat Guru), and Shakti (the power without which no God or humanbeing can live or sustain). Our role is to be actors in the great drama of Narayana and the manifested Gods. In Rama avatara, Vishnu have son from Sita (Lakshmi) Luv or Lava. In Krishna avatara, Vishnu have son Samba (from Jambavati) and Pradyumna ( From Rukmini, which is also reincarnation of Lakshmi) . Brahma is the son of Vishnu, of course, he is not a birth son of Lakshmi. In Wiki as well it is mentioned that "According to Shri Madha Bhagawata Mahapurana, Brahmā was born through Vishnu's navel..."
Kamadeva (Manmadha/ Madana etc.) is also said to be a son of Vishnu and Lakshmi. Here is the Wiki link to check about it. Though there are so many stories about Kamadeva's origin one story matches to our current context. Not the answer you're looking for? Browse other questions tagged mythology vishnu lakshmi . Does Shri Vishnu have any sons or daughters? Why did Lord Shiva fight with Lord Vishnu? Is Kusha (kush) son of Lord Rama? Why sons of Lord Shiva & Devi Parvati are only worshipped? How did Varaha's son Narakasura become evil? Why Revantha the youngest Son of Sun god went to Vishnu's abode? What is the story of Lakshmi's son Chikleeta? Does the first verse of Nammalwar's Thiruvaimozhi intentionally spell out AUM? What are the Avatarams of Vishnu described in the Yuddha Kanda of the Ramayana? How old was Lord Parashurama? Why Godess Parvati was not aware of Raam as Vishnu's avatar? How is the existence of Krishna's 8 Chief Wives reconciled with the idea of Vishnu/Lakshmi? Where is the story of Upilliappan in the Brahmanda Purana? What scriptures describe the story of Rama visiting Vishnu in Vaikuntha? Who are Adi Shakti and Durga? Do Lord Vishnu,Ganesha and Saraswati have multiple consorts? If so who are they? What is the story of Vishnu incarnating as a mango tree in the Dandaka forest?